Alpha Centauri (including Proxima) is the stellar system closest to Sol, and thus the site of humanity's earliest colonization efforts. 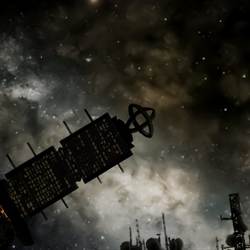 Although passed up as a "home away from home" in favor of Tau Ceti, Alpha Centauri has transformed over hundreds of years into a booming cultural and industrial center, boasting a population of several billion. Alpha Centauri's roots in the flight from the Flooding of Earth still show through, with a mix of ethnicities rarely seen outside the system and a common disdain for humanity's homeworld. Alpha Centauri was known to Arabic astronomers as Rigil Kentaurus, and lit up the night sky for the entirety of human history. The discovery of an earth-sized planet in Proxima Centauri's habitable zone before the beginning of the space age generated quite a stir, and while early bluespace-directed probes found Proxima Centauri b unlivable, the astronomical community nonetheless named it "Kishar" and began dreaming of the day that pioneers would plant their flag in its dusty surface. The first colony, though, was far less glamorous. Heaven, in orbit around Alpha Centauri B, became the first extrasolar colony in 2131, used by the nationalist terrorist group The People's Army of the Inner Ring as an illegal AI research facility, weapons foundry, and safehouse. After being stormed by SolGov Marines, Heaven became the heart of what is now the oldest system of orbital habitats in human space. The development of Heaven catalyzed further colonization of Alpha Centauri AB's extensive shared ring system, but Kishar, despite its ease of habitation, remained under-colonized. This changed during the Flooding of Earth, the worst extent of anthropogenic climate change that saw major cities ruined with seawater and deserts spreading through formerly-fertile equatorial regions. During the Flooding, most refugee shuttles were designed exclusively to shuttle people from nations on Earth to Lunar or Martian habitats controlled by those same nations. These shuttles were insufficient to fully grapple with the refugee crisis, and many nations chose to screen applicants for off-world travel exactingly. This lead to continued marginalization of many stateless nations, or of the people of nations too small to afford off-world habitation. While the latter problem was partially rectified through complex diplomatic arrangements, most national governments were seemingly content to let the stateless die in the streets of their host nation. However, after an impassioned plea before the United Nations, the newly-formed SolGov took action, constructing refugee ships out of Lunar metals to bring overlooked people out of the gravity well. Many went to the existing SolGov territories in what was once the Selene Federation, but many became part of the first SolGov directed colonization mission to Kishar in 2145. Several more waves of colonization would follow, the final arriving just before the colonization of Binma began in early 2180. Kishar and Heaven formed two competing population centers for the further development of the system, separated by a vast gulf of space. Kishari culture, as difficult as it is to generalize, values the traditions of the past, while Heavener culture is a thin layer of hedonism over a undercrust of political corruption. The two polities have historically had tremendous tension, occasionally bubbling over into armed conflict. These tensions have been on the rise again after an all-time low in the mid-2400's, owing to the rise of the Shadow Coalition. 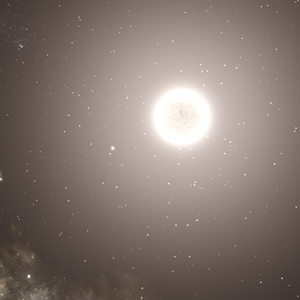 Alpha Centauri is a complex stellar system consisting of the Sol-like Alpha Centauri A and Alpha Centauri B, which form a binary system, and the more distant red dwarf Proxima Centauri. Alpha Centauri A and B share a thick band of asteroids in between each other, and possess two planets apiece. 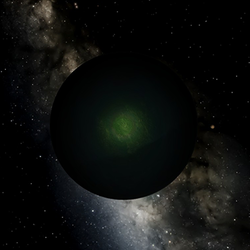 Proxima Centauri has a single planet with a large moon. 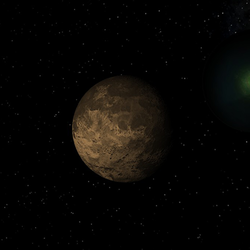 Anshar is a young, geologically active moon with a powerful magnetosphere. Its magnetosphere is responsible for protecting Kishar from the fierce solar wind of Proxima Centauri, but its huge size and close orbit also causes the dust storms that have worn the planet's surface to nothing. Anshar hosts most of the industry of the Kishar-Anshar orbital system, being much richer in metal than its host planet. The relationship between the Anshari and the Kishari is close and economically symbiotic. Heaven is a massive habitation complex consisting of two large counter-rotating cylindrical habitats, seven co-rotating torii, and dozens of smaller “tin can” habitats and mining colonies. It is the oldest extrasolar colony and the one of the largest human orbital habitation complexes.